Just as a quick disclaimer I am not vegan however I do avoid a lot of dairy products in my diet so these are a great way to have something sweet to satisfy a craving but are also relatively healthy for you. If you try this recipe let me know your thoughts!! 1. Preheat your oven to 170C and line a baking tray with baking parchment. 2. Using a large bowl mash either your bananas or avocado together and combine with the peanut butter until smooth. Stir in protein powder and cacao powder until the consistency is smooth and lump free. 3. Pour mix and spread evenly onto a tray - you can add any toppings you like at this stage. I think adding goji berries would be lovely. 4. Bake in the oven for 13-18 minutes or until baked through. Guilt free brownies? Say no more! 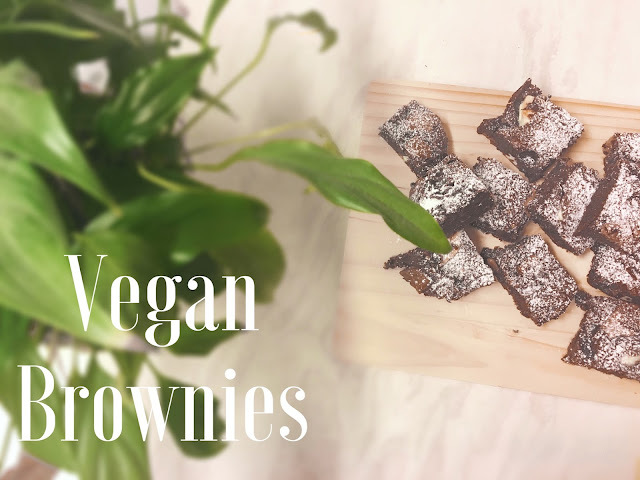 I need to make these, absolutely love brownies so if I can healthify them..why not! They didn't last long haha!